I’ve been ruminating on Holley’s invitation to join the pursuit of a “God-sized Dream”. I’m to wrap that dream with words today. Seriously. Not as easy as I thought it would be. So after a whole lot of years of living, I’ve ended up with a cowboy hat full of broken, lost, half-completed, ignored, hazy dreams. This year I must focus. On the dream. Because the years left are fewer than I care to think about. So I’m looking at this God-sized dream thing like the jigsaw puzzle we started over Christmas. I promised my parents I’d finish it and send them a picture. All that’s left is the sky. But it’s all so blue and same and shapeless and vague. I will live joyfully each day regardless of circumstance. I will write about these days in a way that honors God… with a goal to share hope and encouragement. I finished the puzzle this evening. 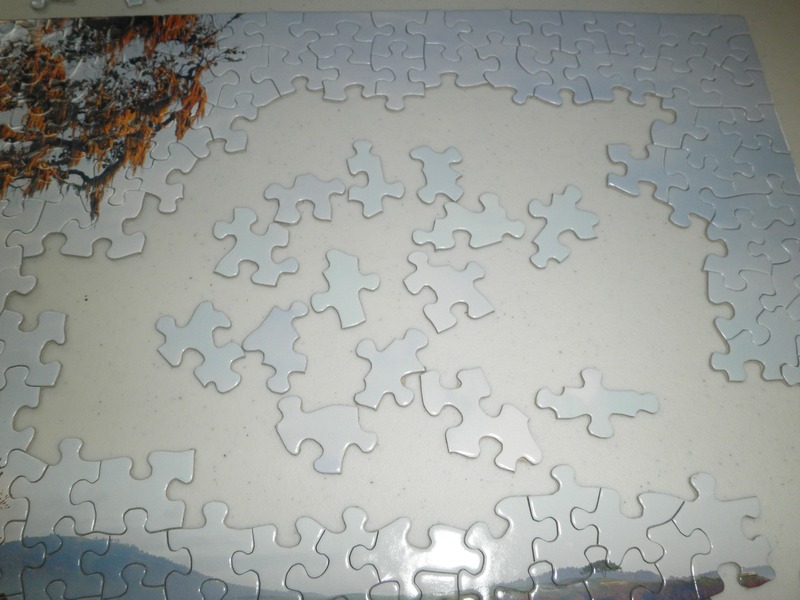 And wouldn’t you know it… there’s a piece missing. It’s ok. That’s the one God will fill in. Love it! 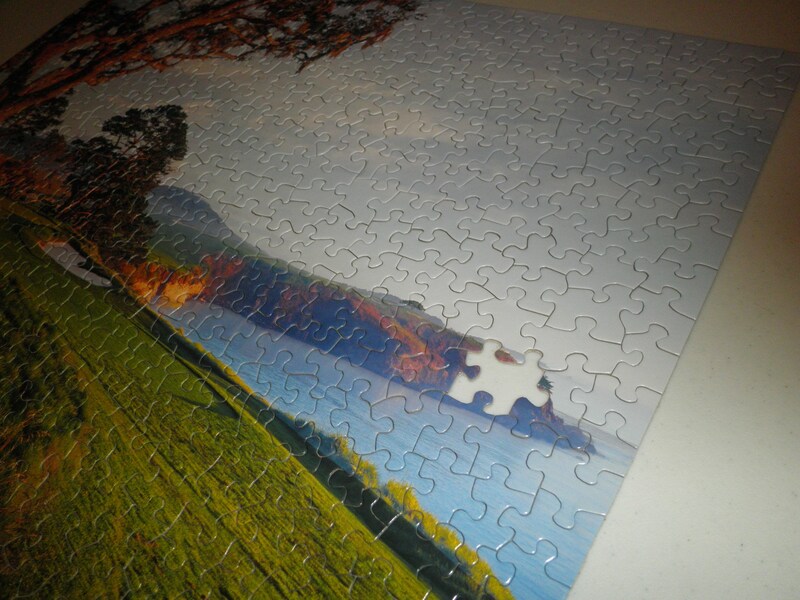 A piece missing is a great metaphor for our lives. Brooke, I love that living with joy is part of your God-sized dream. That is courageous and beautiful. A very worthwhile ‘God sized dream’! I like your analogy for the missing puzzle piece. I also like the expression on Holley’s blog of “God infused moments”, when he “intersects our lives”. I love this…and the analogy you used! Love when God teaches through visuals. 🙂 Thanks for sharing, Brooke! Me too 🙂 Thanks, Anne. Thanks, Stefanie. I’m excited about this… can’t wait to see where it takes us! Love the missing puzzle piece analogy! 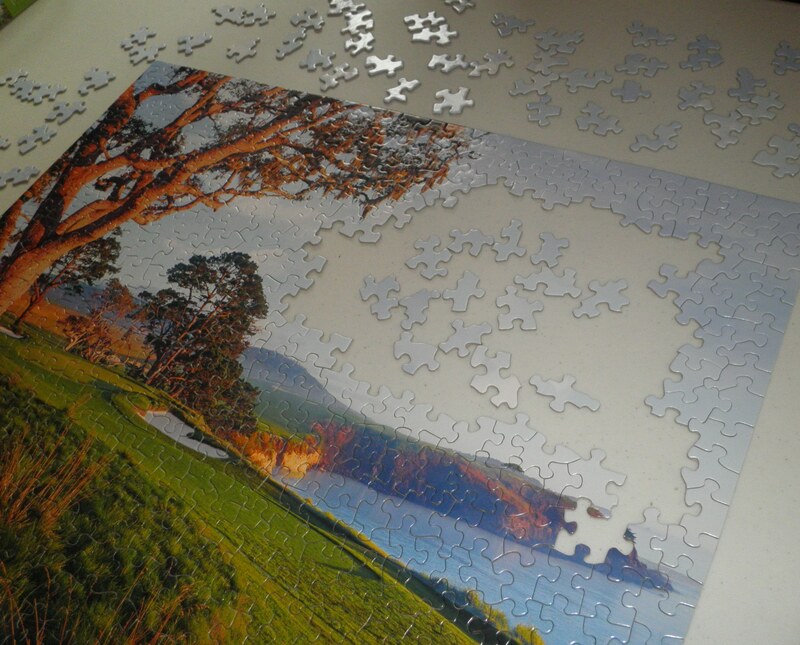 (although I always drives me crazy when I finish a puzzle and can’t find the missing piece). Can’t wait to see where God leads you! Oh yes, drove me crazy too to get that far and find no piece 🙂 But we have His peace 🙂 Thanks, Rosanne. Love your dream! Thanks for the great reminder to make joyful living a daily and purposeful activity!